Like last year the Armenian broadcaster AMPTV has made an internal choice for the Eurovision entry. The announcement of the representative Aram Mp3 took part in a fulminant New Year’s gala. The song “If I Tried” has been announced in February in another TV show, where former Armenian singers like Hayko (2007), Inga & Anush (2009) and Emmy (2011) joined. Aram’s real name is Aram Sargsyan, who is born in Yerevan in 1984. He studied at the Yerevan State Medical University and has become a singer, songwriter, comedian and an actor, who is very well known in his country. He has been singing, hosting and entertaining several shows like Armenian Idol, X Factor, etc. His artist name Aram Mp3 refers to his nickname, as Aram has covered a lot of songs in a humours way, he mixes different styles in a unique way, that how is nickname was created like the music format Mp3. Last year Aram has released three songs "Shine", “Just Go On" and "If I Tried". Aram is married and has a three years old son. The song “If I Tried” has been changed a few days before the deadline for song submission ended. The new song is called “Not Alone” which is another ballad in this year’s ESC. The sound reminds a bit of Andru Donald’s songs, especially in regards to Arams high notes. With a good stage performance and artistic realization this entry has good chances to reach the Grand Final in Copenhagen. After Aram’s first song presentation Inga & Anush said "He's got everything one could ever need for the stage: charisma, artistry, good taste, talent and passion for what he is doing. We have no doubt in his success". Armenia has joined the ESC as the first Caucasian country in 2006. The debut entry “Without Your Love” sung by André has qualified for the grand final and even reached the 8th rank! 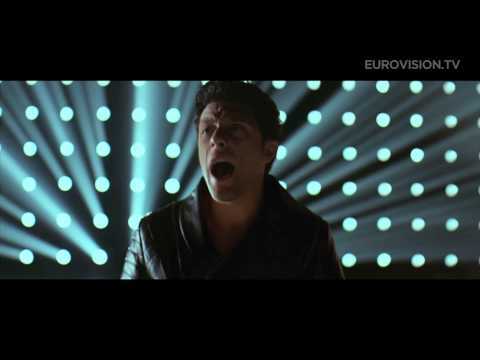 After that Armenia has become one of the strongest newcomers in the Eurovision family, while other newcomers have difficulties to qualify for the grand final, Armenia mostly made, beside of 2011 when “Boom Boom” by Emmy did not find many fans. The best place could be made by Sirusho with “Qele Qele” in 2008 (4th rank). 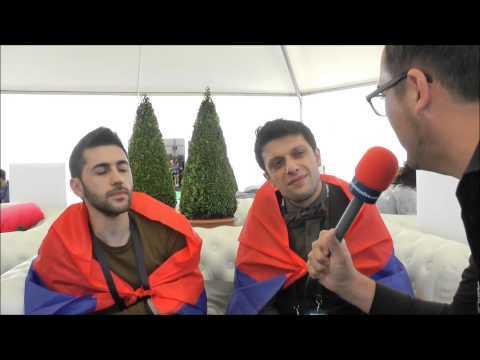 Due to political reasons Armenia did not participate in the 2012 ESC in Baku, Azerbaijan, which was a pity as the Eurovision Song Contest strongly emphasizes that it’s a contest of music and has no political impact.